No strings. No names. No repeats. Archie Jones and Zack Lorrimer-Grant’s ground rules have always kept them safe – until now. Getting down and dirty with anonymous hook-ups is a game Archie and Zack have always played. It keeps life fresh and exciting and everybody’s having fun. Aren’t they? Archie isn’t. The hook-ups stopped being fun long ago. It’s a game he wishes he’d never started and he wants to stop playing. Now. Right now. The men keep Zack’s fear at bay. Fear that without them, Archie will realise Zack alone will never be enough to make him truly happy. Terry Franklin isn’t a hook-up. He’s far more dangerous, and Archie is determined to do whatever it takes to keep the man out of their bed and out of their life. 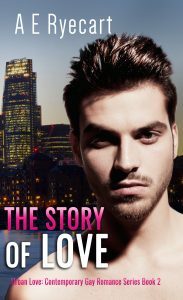 The Story of Love is the second in the Urban Love Contemporary Gay Romance series but can be read as a stand-alone. 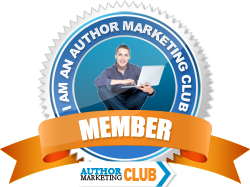 If you love your MM romance laced with angst and high emotion and your MCs complex, multi-faceted men facing up to and overcoming challenges against all the odds, A E Ryecart’s story of Archie and Zack will leave you breathless. Note: The Story of Love is an MM romance, not MMM.